Hearing loss is described by varying degrees, not percentages. Hearing loss may be mild, moderate, moderately-severe, severe or profound and vary across pitches. It is determined by a simple hearing test as the amount of volume loss you experience compared to an average of many other adult listeners with normal auditory systems. The volume, or intensity, of sounds you hear is measured in decibels (dB), 0 dB being the softest whisper and 120 dB being a jet engine. The softest sounds one can hear are called thresholds. Normal hearing thresholds for adults are considered 0 to 25 dB. Conductive hearing loss occurs when there is a problem with the way sound is conducted to the inner ear or cochlea. The problem may lie in the outer ear, eardrum , or the middle ear. The inner ear remains unaffected in this type of hearing loss. Some causes of conductive hearing loss can include outer or middle ear infections, complete earwax blockage, deterioration of the middle-ear bones, fixation of the ossicles, a hole in the tympanic membrane, or absence of the outer ear or middle-ear structures. Conductive hearing losses may be temporary or permanent, depending on the source of the problem. Medical management can correct some cases of conductive hearing loss, while amplification may be a recommended treatment option in more long-standing or permanent cases. Sensorineural hearing loss occurs when there is a problem with the sensory receptors of the hearing system, specifically in the cochlea of the inner ear. The majority of sensorineural hearing loss occurs as a result of an abnormality or damage to the hair cells in the cochlea. This abnormality prevents sound from being transmitted to the brain normally, resulting in a hearing loss. The hair cells may have been abnormal since birth, damaged as a result of genetics, infection, drugs, trauma or over-exposure to noise, or damaged as a result of the aging process, a kind of hearing loss known as presbycusis. Sensorineural hearing losses are generally permanent and may stay stable or worsen over time. 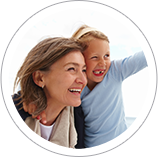 Routine hearing tests are needed to monitor the hearing loss. 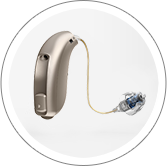 Amplification, including hearing aids or cochlear implants in the most severe cases, is a common treatment recommendation. Mixed hearing loss occurs when a person has an existing sensorineural hearing loss in combination with a conductive hearing loss. It is, very literally, a mix of sensorineural and conductive hearing losses. This means there is a problem in the inner ear as well as in the outer or middle ear. 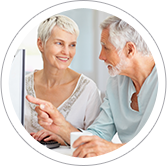 The conductive hearing loss may be temporary or permanent, depending on the source of the problem. Neural hearing loss occurs when the auditory nerve that carries impulses from the cochlea to the brain is missing or abnormal. It is difficult to determine the exact location of neural hearing loss. Some causes of neural hearing loss include genetics, acoustic tumors, in-utero exposure to certain infections, severe jaundice in infancy and low birth weight associated with premature birth. Amplification may be recommended in some cases of neural hearing loss depending on the severity of the damage to the hearing nerve. Individuals with neural hearing loss often have difficulty understanding speech, even when it is loud enough, as well as in background noise.